If you are aspiring to be the chef in any restaurant, then you should be going for the Chef Resume cover letter. Now in order to have the perfect chef resume, you should be going for the resume format created by the professionals. 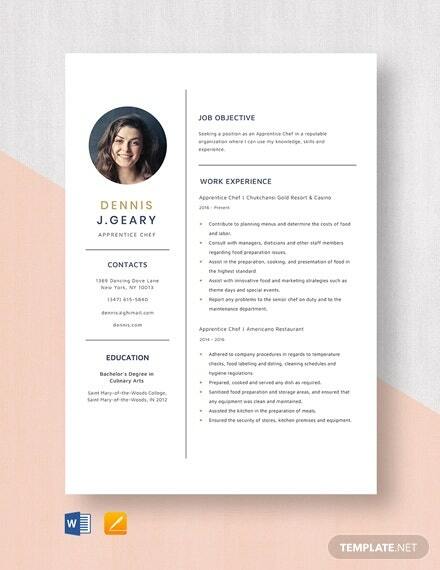 The typography of the resume is perfectly aligned- also they are ready to print in any manner that you want to. If you want, you can edit the files in the best possible manner. 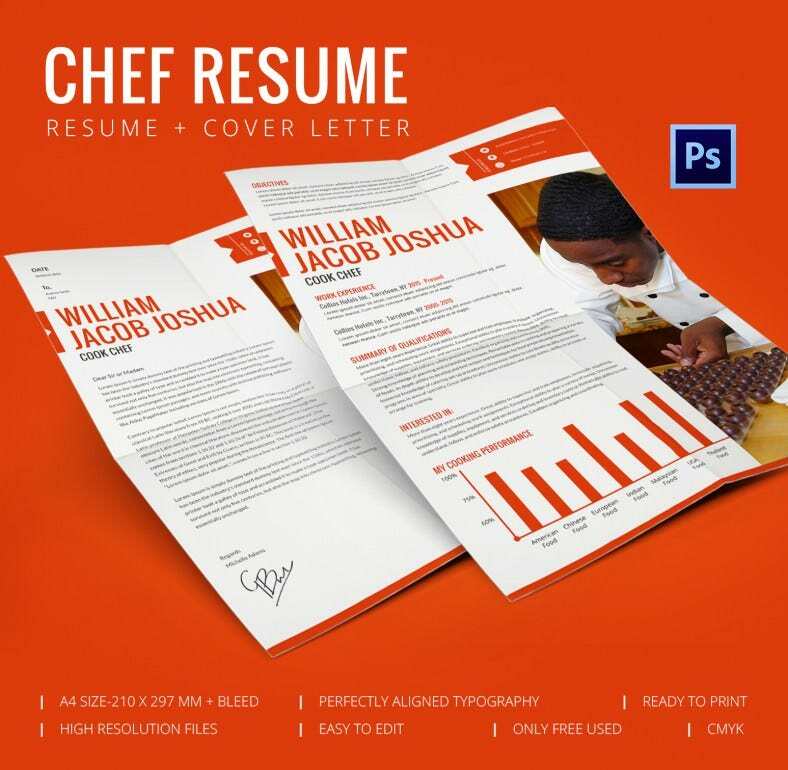 The colour resolution is high and of the CMYK mode and that is the reason why you will adore the quality of the resume.